It is our first Christmas in our new house and our first Christmas as newlyweds, so you could say that I am going a little overboard. I did start the ornament hunt a little early and have accumulated a generous little collection in a few weeks. I found my two favorites at a Neiman Marcus/Horchow outlet, of all places. Aren't they awesome?! 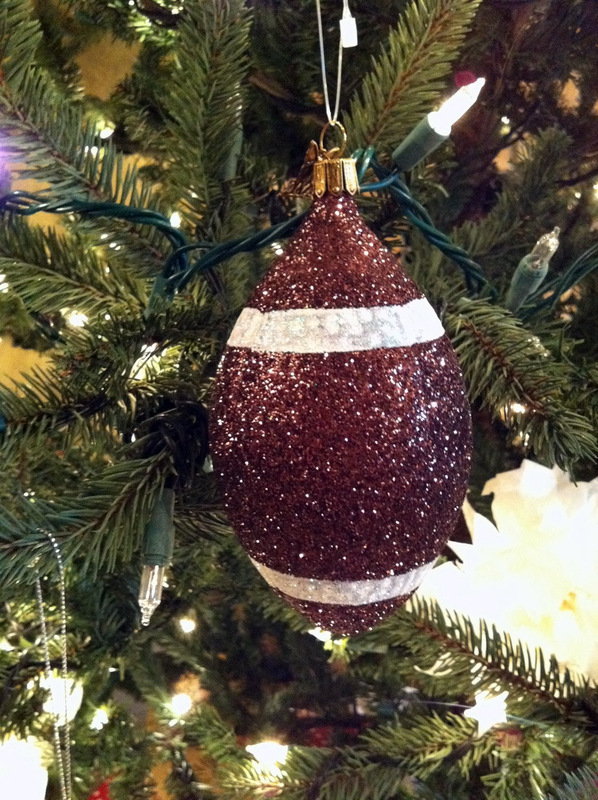 It's hard enough to find a volleyball ornament, but a super glittery blinged-out volleyball? Impossible! With a matching football? PERFECTION.